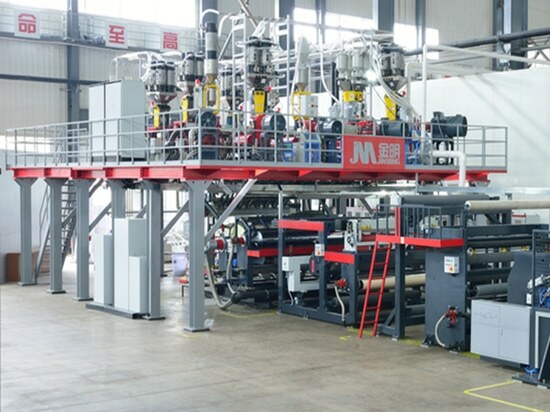 Jinming Multi-layer Cast Film Equipment Stands in the Front of the Industry - China - Jinming Machinery (Guangdong) Co., Ltd.
Jinming is determined to build a leading brand of global film extrusion equipment. It has increased technical and funding assets to cast film machine in recent years. Its cast film equipment products and technologies have rapidly advanced to the front of the industry. Jinming has successively launched cast film machines with different specifications. The first cast film machine was established in 2003. 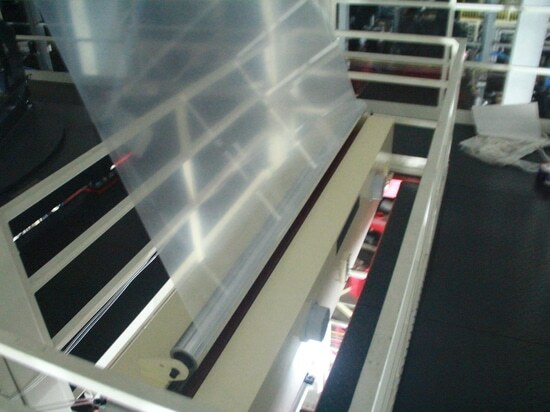 Jinming released the first aluminum laminated film CPP cast film machine in 2012, and since then Jinming entered into the high-end market of cast film equipment in China. 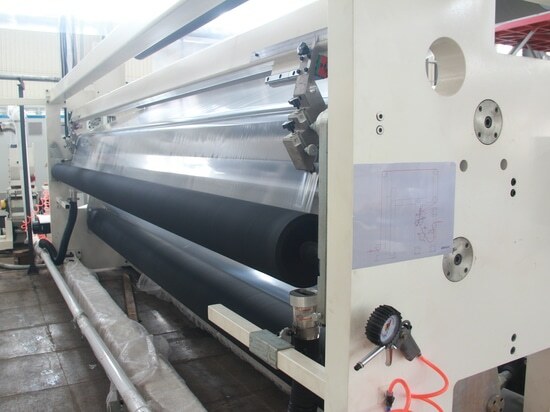 Starting with the objective of manufacturing functional cast film machine with wider film width and higher output, Jinming developed the China’s widest (5,500 mm) cast film equipment in 2013. 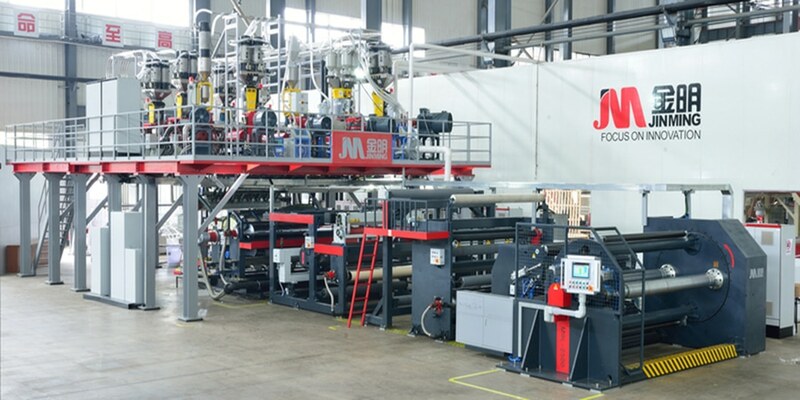 In 2014, Jinming successfully launched an 11-layer high barrier cast film machine and became a Chinese enterprise that is able to produce this kind of equipment in the Asia Pacific. 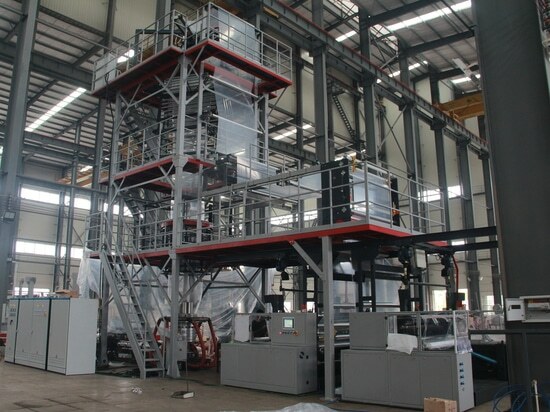 During this period, the company also launched a series of production lines, such as barrier mulch film casting film machine and online cast stretch machine. Jinming’s leading position in the cast equipment field is gradually established, through three years’ unremitting efforts and constant innovation and development of technology. Their products gain trust and support from customers not only in China, but the machines are also exported to the Middle East, South Asia, Southeast Asia and other countries and regions. Continuous weightless measurement feeding and central feeding. Convenient interlamination ratio control, stable melt pressure, uniform mixing of functional additives, and consistent product quality. 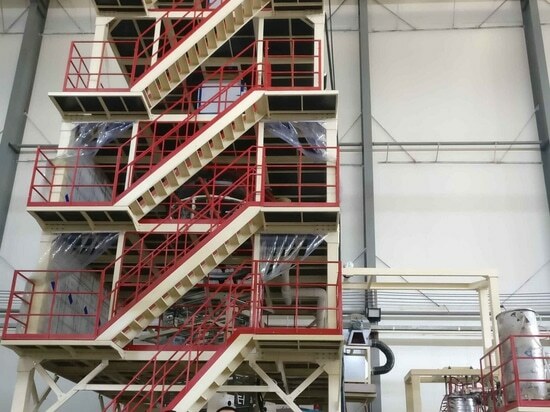 Low-temperature extrusion system developed by Jinming, which reduces material extrusion temperature and shearing, facilitates the reduction of unit energy consumption, and achieves excellent physical performance of film. Air speed of air knife is up to 30m/min. Air filtering precision may be set as needed. Cooling air improves optical performance of film.